Without stating the obvious, we know how Apple's iPhone X has been causing a ruckus in the mobile landscape – more so with one of its more peculiar aesthetics. While it's seen a barrage of new smartphones aiming to match its capacity, the LG G7 ThinQ is the latest amongst the new breed that's looking to take a swing at taking down one of the juggernauts in the space. Flaunting a fresh new design, along with some added intelligence, it's going to be interesting to see how the G7 ThinQ will fair in the long run. LG has done a remarkable no doubt with the redesign of the G7 ThinQ, adopting more of the V30's aesthetics with its glass meets metal construction and curved edges. Against the iPhone X, however, it's noticeable longer, wider, and slightly thicker, making it more of a stretch to hold and operate. Both are without question premium in nearly every facet with their constructions, but there's just more of a substantial feel to the iPhone X. It's really noticeable when you hold the two phones side-by-side one another! Of course, the similarities of their designs can most certainly be evident in how the G7 ThinQ also adopts the "notch." Thankfully, though, it's not quite as distracting looking or wide as the one featured on the iPhone X, as it can be adjusted in the display settings to appear uniform. We will note that the G7 ThinQ is kind enough to throw in a 3.5mm headphone jack – while also increasing its water resistance construction to IP68, versus the iPhone X's IP 67 rating. What'll be an adjustment for some people, though, will be the repositioning of the power button to the side of the phone, as opposed to its integration with the fingerprint sensor in the rear that we've grown accustomed to seeing. Over on the specs side, the LG G7 ThinQ packs a 6.1-inch QHD+ (1440 x 3120) FullVision Display – while the iPhone X sizes up with a 5.8-inch Super Retina OLED Display (1125 x 2436). Sure, the G7 ThinQ might have the edge in terms of pixel density, but in all fairness, it's nearly impossible to discern when looking at the two displays from normal distances. 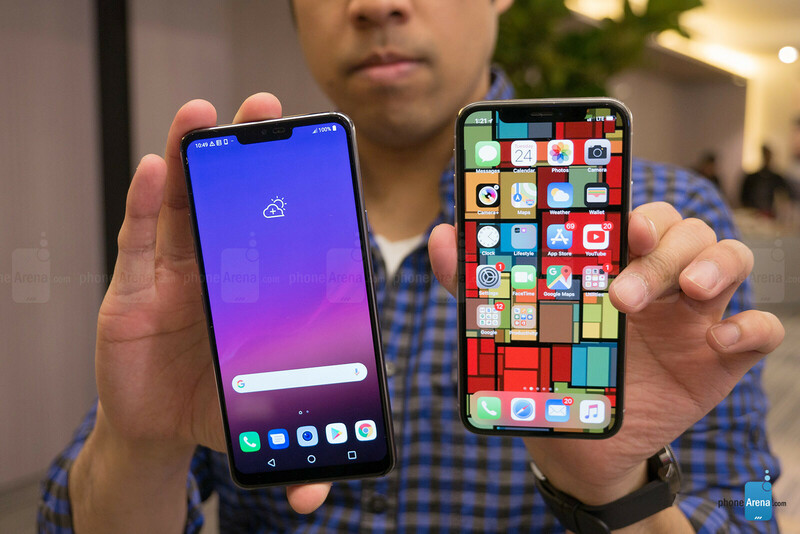 At the same time, too, both are sporting ridiculously thin bezels around their displays, helping to give them that all-screen look that's been the trend. In our quick look at the two displays, it's honestly tough to say which one we like better. Not only do colors have a nice punchy tone to them, but their viewing angles seem to deliver crisp results even at extreme angles. As we mentioned earlier, the notch on the iPhone X is indeed more pronounced, whereas with the G7 ThinQ, it's a little bit narrower and also can be adjusted to make it appear as though it's not there. LG mentions that the G7 ThinQ's display can achieve a peak brightness level of 1000 nits, which while impressive, we're eager to test it out in our benchmark testing. 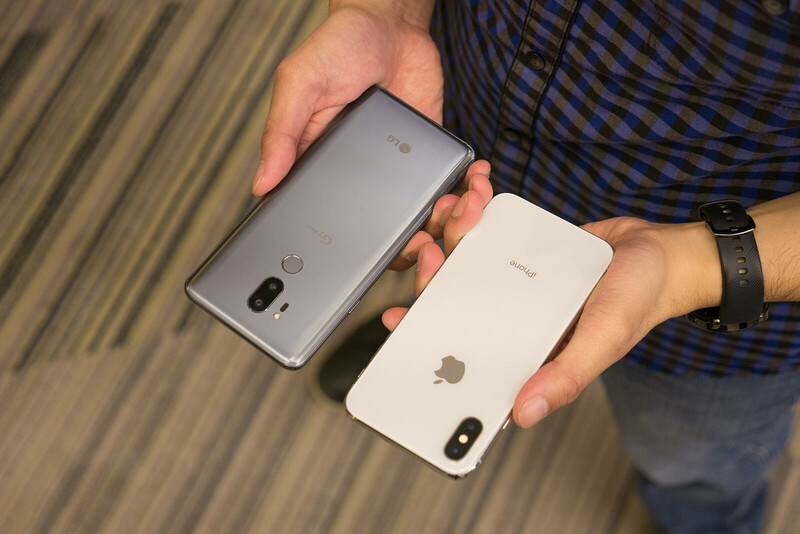 The age-old comparison between Android and iOS continues to exist in this comparison, but for the most part, LG's subtle customization does cough up some useful functions. At the core, the software we're seeing running that's based on Android 8.0 Oreo has all the necessities we're accustomed to seeing. The iPhone X for the most part matches those basic functions, with more emphasis of having a straightforward experience. With the G7 ThinQ, it's all about the artificial intelligence integration, which is an area where it clearly has an advantage over its rival. So far, it's mostly related to the camera, voice integration, and home appliances. When it comes to processing power, it appears as though the two are equipped to handle even the most intensive stuff. For the iPhone X, it's powered by the A11 Bionic chipset, which as we all know, runs exceptionally flawless for all applications. From what we're able to see so far with the LG G7 ThinQ, its Qualcomm Snapdragon 845 SoC coupled with 4GB of RAM suffices for all the usual customary stuff, but we're confident it'll handle gaming as good as its rival. Then again, we do appreciate that the G6 ThinQ is accompanied with a microSD card slot, which helps to supplement its base 64GB internal storage. Dual cameras are no longer surprises in the greater scheme of things, especially considering it's become the norm – so it only makes sense to find these two armed with them. For the iPhone X, it's slapped with a pair of 12MP cameras with OIS, with the two of them breaking down to a wide-angle f/1.8 lens and a telephoto f/2.4 one. Meanwhile, LG has upgraded the hardware in its new flagship with a pair of 16MP sensors broken down to a 71-degree f/1.6 lens and a wide-angle 107-degree f/1.9 one. With the two of them, they're able to capture those creamy looking bokeh portrait shots that can make anyone seem like a professional in how they're able to separate the subject and background. However, camera aficionados will undoubtedly appreciate the vast manual controls and that wide-angle lens for some sweet compositions you really can't achieve with the iPhone X. Over on the video side, too, it seems as though the G7 ThinQ has an edge with its extensive controls and Cine modes. And lastly, the AI integration with the G7 ThinQ allows the camera to adjust to the scene to yield the best results. Battery specs don't typically hold a lot of value, unless one is significantly larger than the other. 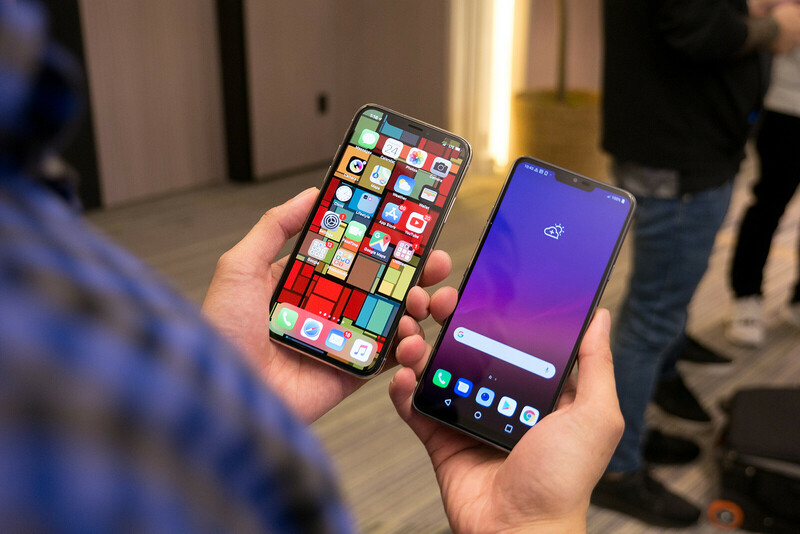 We can't say that's the situation present here, seeing that the LG G7 ThinQ and iPhone X respectively pack battery capacities of 3000 mAh and 2716 mAh. We know that the iPhone X's performance is pretty good, so we're hoping to find something at least equivalent with the new G7 ThinQ. Fortunately for the two of these smartphones, they're both equipped with the convenience of wireless charging – something that's increasingly becoming a staple nowadays! The iPhone X's popularity is widely recognized, which isn't too surprising to know that it's one of the smartphones out there that can rack up solid sales – despite its hefty cost. Speaking of cost, LG has been mum about the pricing for its upcoming G7 ThinQ, reserving that honor to its carrier partners. Then again, we can only imagine that the G7 will follow in similar fashion to other recent Android smartphones. We're betting that it's going to come in somewhere around $700 and $800, which should be an advantage over the $1,000+ cost for the iPhone X.
LG's flagship might've borrowed one of the iPhone X's design quirks, but at least it's subdued enough to not make it a distraction. On top of that, they've really tweaked the camera and software experience with AI integration to really give it a slight upper hand in those areas against the iPhone X. We know Apple's pride and joy continues to pride itself on a smartphone that satisfies all of our basic needs without overcomplicating things. 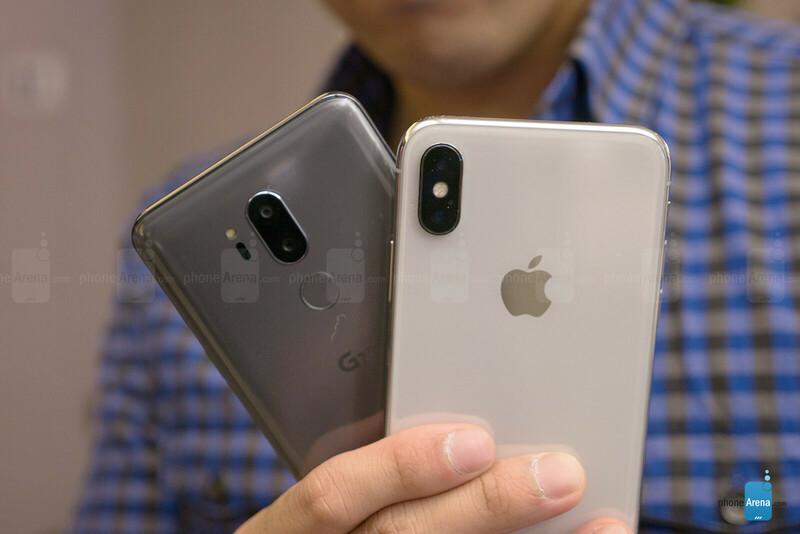 If the G7 ThinQ can match the iPhone X's performance in each department, it could prove to be a formidable opponent for those looking for their next smartphone! No mention that all software and apps on the LG G7 ThinQ just worked like they did before. Unlike the iPhone X where developers have to modify their apps to accommodate the X's notch. Apple even Forces it's developers to support the X notch. 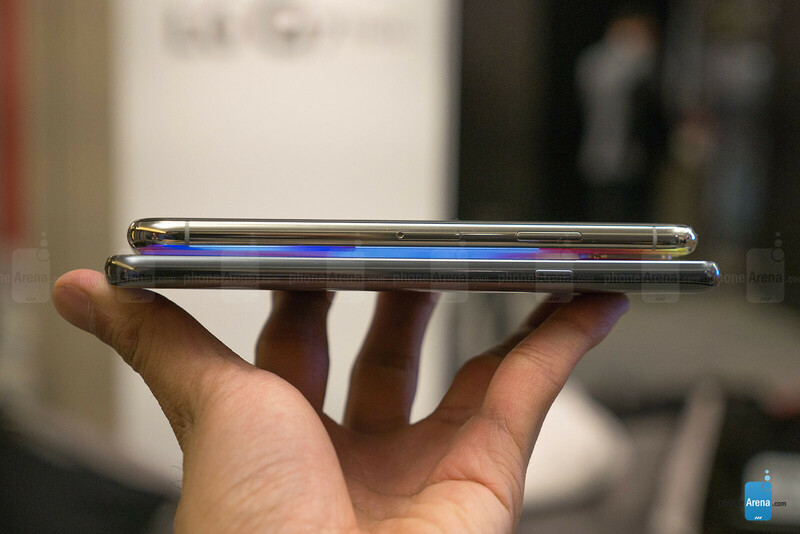 Not so for the LG G7 ThinQ. That is a huge difference between the two. If all that was true, why is Google adding notch support in Android P? All I have said is true. Google is adding notch support in the OS, so all apps will work without being modified. You can have a phone that has a notch, or not. Look it up yourself. Apple is FORCING it's developers to support the iPhone X notch. Otherwise your app WILL be rejected by Apple. I am not making this up. It's 100% a fact. When "all software and apps on the LG G7 ThinQ just worked like they did before", there isn't really a need for notch support. Apple pays a lot more than what Google pays to the developers so I don't think they're doing anything wrong by forcing them to make notch supported apps. Are you that stupid that you are making up excuses for Apples stupid logic, and to FORCE their dictatorship on anyone using and developing for their platform. Both LG and Google have made it so the existing apps in the Android OS work as is. Or change a setting to take advantage of the notch, if you have the hardware, and like it. It's up to the users, and developers. Apple is FORCING and you think that is a good thing. Then it just proves everything that everyone was saying about Apples closed off wall garden. Man you're a stubborn Apple hater. Apple ain't doing any charity, if they're paying you more, you gotta work for that money. And that's not just Apple, every single company does that. You're not gonna understand cause you're an unemployed troll living in mamma's basement. He has a point though, Apple made the notch something developers have to deal with whereas Google took that extra work out of their hands. It has nothing to do with who pays developers more or that nonsense or what is to be expected in return. Apple forced developers to adapt to the notch instead of creating a means to take responsibility for it themselves. So before you start crapping on people like you do, get your facts straight. Yes and they’ve also said that all new apps must support the new Super Retina display and be built on the iOS 11 SDK, but I’m trying to figure out why you’re thinking that’s necessarily a bad thing? Was Apple supposed to NOT have apps support it’s notch display? I’m just confused by your logic. Also, it should be noted that it only affects new apps, not apps already on iOS. So apps like Facebook and Instagram and all of that are not being forced to change their apps (yet at least). It’s only for new apps being built. "Was Apple supposed to NOT have apps support it’s notch display? I’m just confused by your logic." I know free thinking is frowned upon in Apples wall garden, or dictatorship platform now. But try to actually think. Wouldn't it have been better for Apple to include an actual setting, so all iPhone apps would work without having to be modified at all. If the app can take advantage of the increase size, then change a setting. It could have been that simple. But no, let's force the changes on everyone. It's like the FaceID that fails on a good few occasions, and there is no backup, like a finger print scanner. Even gestures are forced on iPhone X users. With no other option. You can have gestures on Android right now, or not. It's about choice. If you don't have choice, then it's really Apples choice, is it not? Oh, also if you modify an existing app, and it doesn't have iPhone X support, then your app will be rejected as well. Therefore FORCING iPhone X support. Get it right Phil. You are definitely no doctor when it comes to technology. This must be truly hard on your daily life broseph :( Do you need a hug? I’m not sure what you mean by “modify an existing app” as it’s been widely documented the new guidelines only apply to new apps and does not apply to app updates which would be modification of the app. And just as I pointed out before, the new guidelines also say that all new apps must support the new resolution of the Retina display for the X. Again, Apple is ensuring that applications run on all of their products as they are intended to do so. It is a closed ecosystem. There obviously can be an argument between a closed and open ecosystem, but to suggest that a closed ecosystem like iOS should not require support of their latest products is mindboggling. Also, are there app developers complaining about this new requirement? Are you suggesting that the new requirement is a burden on developers? I haven’t seen many people complaining about apps supporting the new X. And also considering that the product line for this year is tipped to have a continuation of the notch design in other products like that iPad, I’m just not seeing your logic that Apple should not be requiring new apps to work on their latest products. By the way, there is a backup in case FaceID fails. It’s called a passcode which is required as a fail safe for both TouchID and FaceID. So I’m not sure why you are suggesting there isn’t an option there for backup. If you modify the app then you have accomodate the X notch, period. End of story. Now the part about where you said what do you want Apple to do about the notch and developers supporting it crap. I gave an answer, but you seem to ignore it because it's not an Apple answer. iOS should have given an option to support the notch or not, in the OS. That makes sense to me, but since Apple didn't give an option. That just doesn't compute for you, or any form of human logic. As far as FaceID is concerned I know there is a backup called a passcode, that has been there since the beginning. However every other smartphone, including now $150 smartphones have a finger print scanner. So Apple could have included a fps, but once again for you, since Apple doesn't want to do that, then your on board with everything that Apple does. So how many homepods do you have? And please tell everyone that they are the best smart speaker out there. Why wouldn’t Apple demand notch support, for a phone with a notch? And why is this even a discussion? All you do is come up with all these anti Apple theories, and rants on every Apple article man...when does it end? I do agree with the FPS, it should be there. iPhone X Ugly big notch. Nice LG kill is**t X.